A stock is said to be overbought when it has risen too much too soon with too many people in the stock. Since a stock or market rarely moves up in a straight line, the odds of a reversal to the downside increases as the stock goes up. 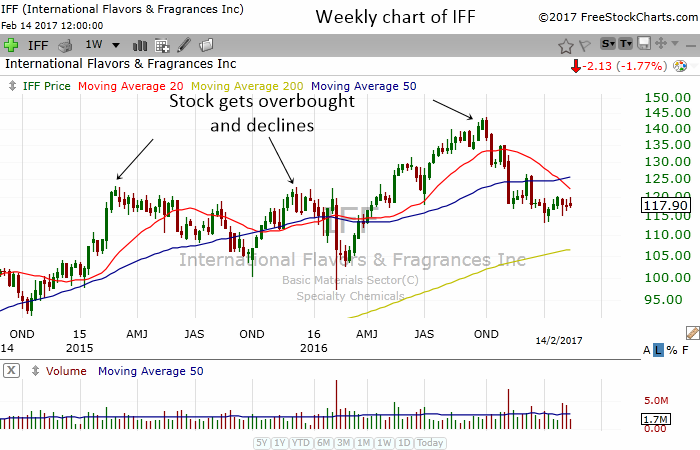 In the chart above, you can see how IFF declined every time there is too much buying. Stocks rarely go up non stop. Therefore, when a stock is up for too long, it is wise to start thinking about selling them. When a stock gets hammered and collapses too much, there will come a time when those who want to sell have already sold the stocks. When there are lack of sellers, there is no one available to push the stock lower. 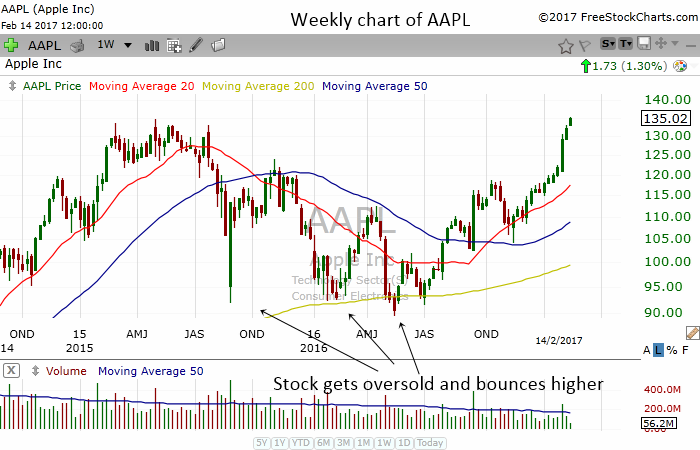 At that time, the stock is considered oversold and a bounce back up may soon follow. In the chart above, you can see how Apple stock gets hammered and sold off to around the area of $90. Every time it reaches the area, it bounces back up because it was oversold. This gave smart investors an opportunity to buy the stock at a cheaper price. In the next articles and chapters you will learn how to use price, oscillators and indicators to determine overbought oversold levels.